We will be doing lots of previews for Papa’s Pastaria this week! Today, we are showing off some stations for the first time! 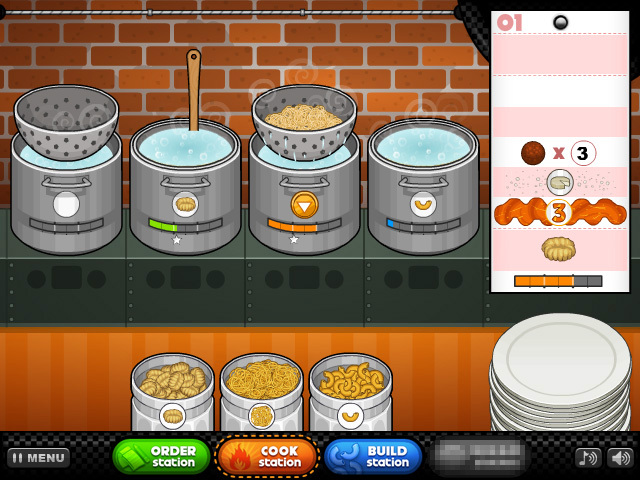 After you take an order, you’re going to want to head over the the Cook Station. There you will boil the pasta to either regular or “al dente“. Halfway through the process, you will need to make sure you stir the pasta. Once the pasta is finished, you will pop the strainer out and let the water drain away. This takes a little time, but it can be sped up gently shaking the strainer. Be careful because if you shake it too crazy, you’ll send pasta flying everywhere. 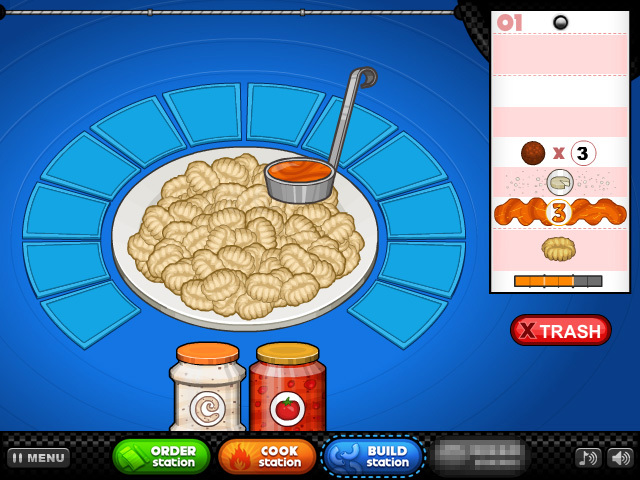 After the pasta has been strained, you will pour it on the plate and send it off to the Build Station. 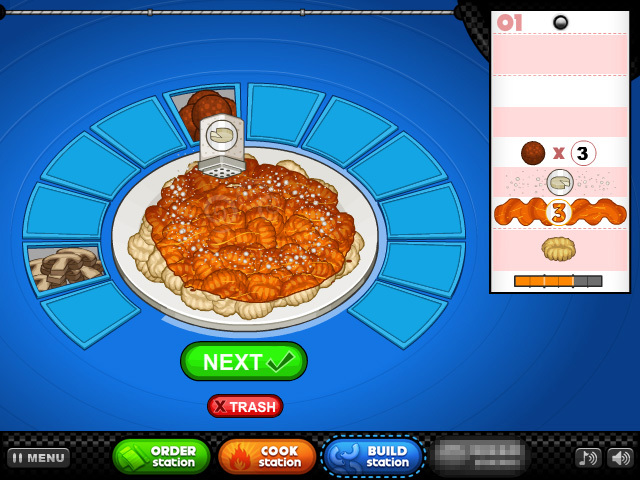 The first step in the Build Station is selecting the right sauce. You’ll then carefully pour the sauce over the freshly cooked pasta. In this example we have a plate of perfectly cooked Gnocchi. After the sauce has been poured, you will then move on to the toppings. There, you can shake out some seasonings and place toppings like meatballs. You’ll want to keep the toppings spread out perfectly, and if you have different types, you’ll want to evenly distribute them as well. Once that is complete you will move onto the fourth station. However, we’ll save that for another day. So stay tuned for more sneak peeks of Papa’s Pastaria!